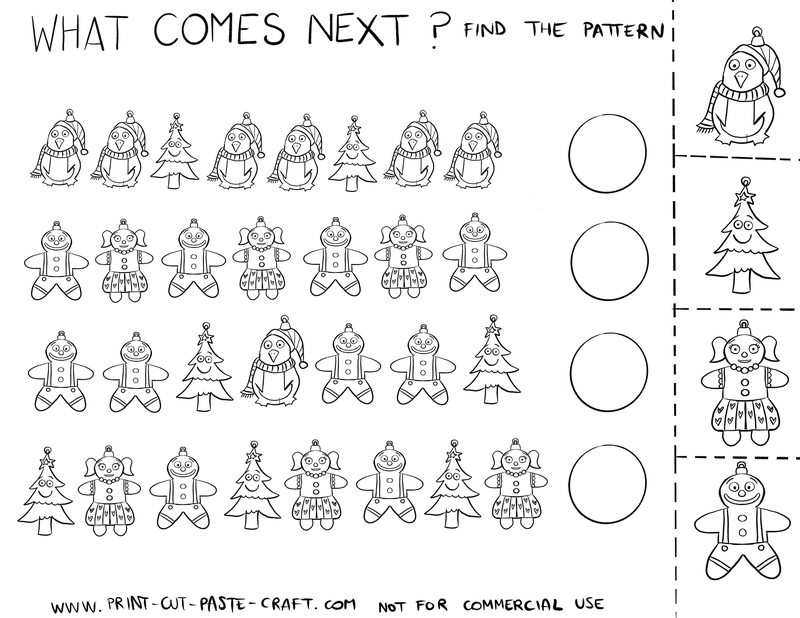 Christmas ornaments pattern activity | Print, Cut, Paste, Craft! Hello! 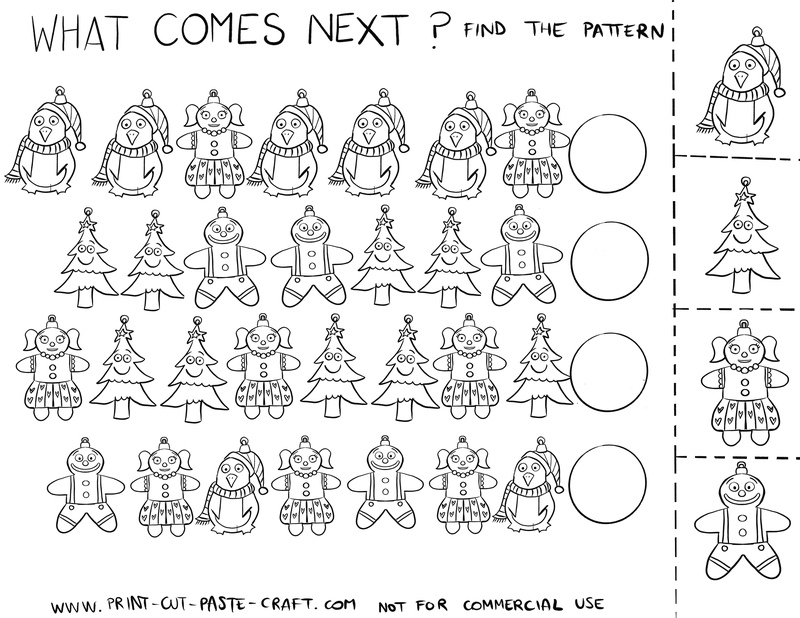 I thought it would be fun to use those Christmas ornaments for an activity to practice some simple patterns. Cut the ornaments on the right and paste the right one at the end of each pattern. Coloring is optional of course ! Doesn’t it sound like a great Christmas break or Snow day activity ?